If you are a fan of jelly doughnuts, with their fried, sugary outsides and gooey, fruity insides, you know that jelly doughnuts are really only good the day they are made and are at their very best while warm. Definitely not care package material. So, I invented Jelly Doughnut Cookies, soft, cakey cookies rolled in cinnamon sugar with a “jelly” center. They looks sort of like a jelly doughnut, tastes sort of like a jelly doughnut, and stays soft and delicious for over a week. For many Jews, jelly doughnuts are a traditional Chanukah food. The Chanukah story involves a miracle with oil, so traditional Chanukah food includes oil or is prepared in oil. Examples are potato pancakes called latkes, and jelly doughnuts called sufganiot. 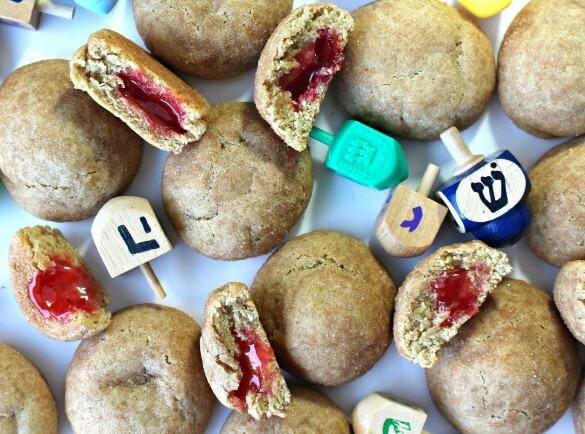 This jelly doughnut look-alike makes a tasty addition to a Chanukah care package (or any care package, really). Making a soft pillowy vanilla cookie was the easy part. 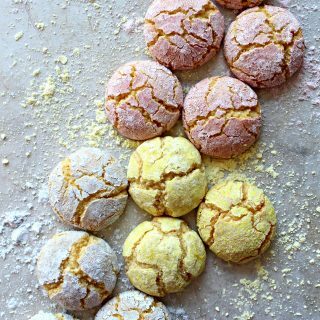 I adapted my recipe for Soft Italian Cookies into a vanilla version. Figuring out the jelly center proved a bit trickier. Regular jam was messy and didn’t end up looking like a pocket of jam at the center of the cookie. After much trial and error with jam stand-ins, the winning ingredient is Lifesavers Gummies (I used wild berries flavor). I was trying for a molten fruity center. The Lifesavers Gummies melted perfectly. 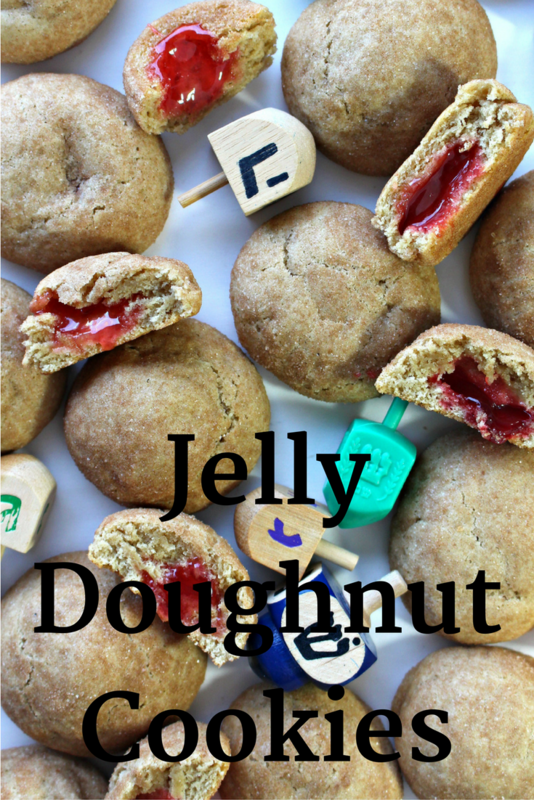 A warm Jelly Doughnut Cookie has a center so gooey it will drip. Once cool, the jelly remains soft but not liquid. There may be other brands of gummies that also work. I wasn’t successful in finding anything else that melts as well as the Lifesavers. To save you trial and error time, I can tell you that Welch’s Fruit Snacks, Dots, Gumdrops/Spice Drops, and Jelly Belly jelly beans don’t melt. 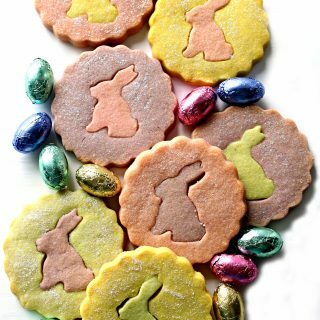 They provide a colorful cookie center that remains solid and very chewy. 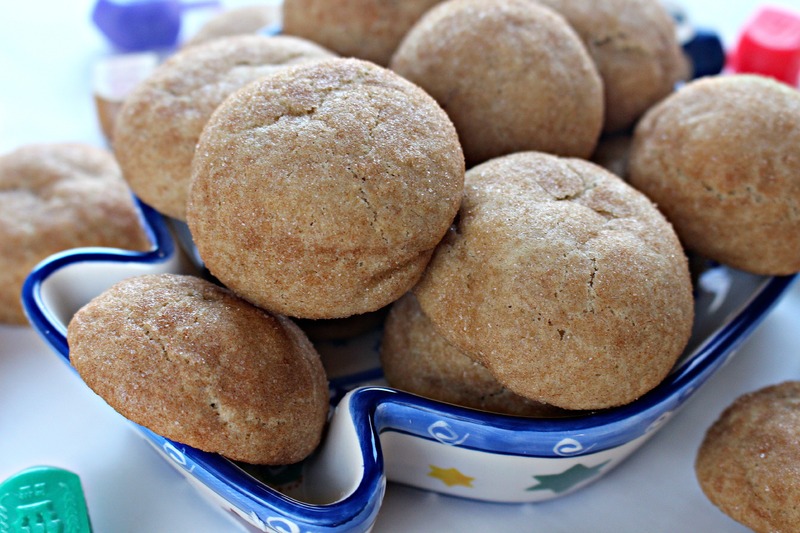 I rolled my Jelly Doughnut Cookies in cinnamon sugar to imitate the browned outside of a real jelly doughnut. 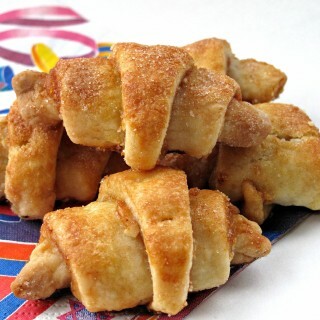 It turned out that the cinnamon tastes delicious with the vanilla cookie and the fruity center. For a more festive presentation, though less faux doughnut look, roll the cookies in colored sugar. 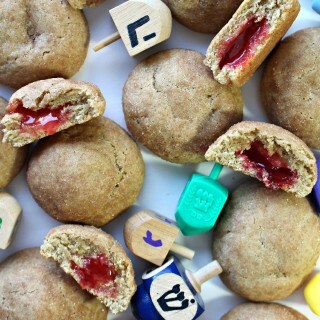 Jelly Doughnut Cookies are fun for Chanukah care packages or snacks. 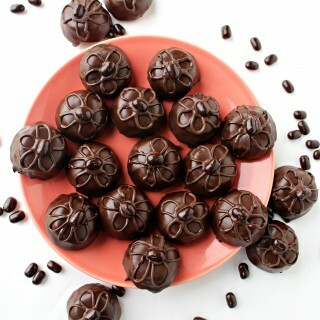 They would also offer flavor variety to any cookie platter! 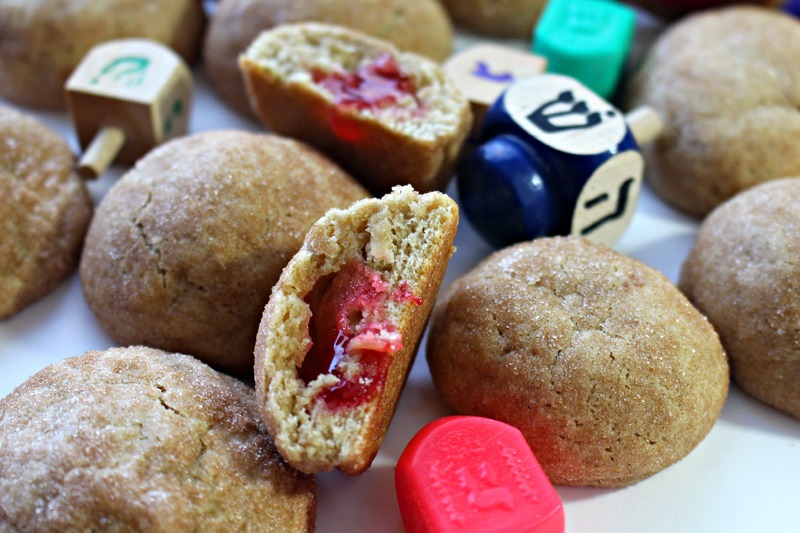 For anyone planning a baby shower, Tricia got me thinking that Jelly Doughnut Cookies, with strawberry and blueberry centers, would work well for gender reveal cookies, too! In a large bowl whisk together flour, baking powder, baking soda, cinnamon, and salt. In a small bowl mix together the granulated sugar and cinnamon for the coating. Set aside. With a small 1 tablespoon scoop, form golf-ball sized dough balls. Tear the dough ball in half and place a gummy Life Saver on one of the torn sides. Put the dough ball halves back together with the Life Saver gummy in the middle. Roll the dough back into a ball shape, enclosing the Life Saver in dough. Roll the dough in the cinnamon-sugar to coat. Place on prepared cookie sheet about 2” apart, and bake for 10 minutes. Cool completely on cookie tray before storing. These cookies are soft and cake-like. They will remain soft for at least 1 week if stored at room temperature in an airtight container. 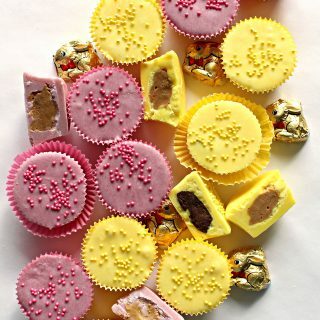 Separate layers of cookies with wax paper to prevent sticking together due to exposed “jelly”. 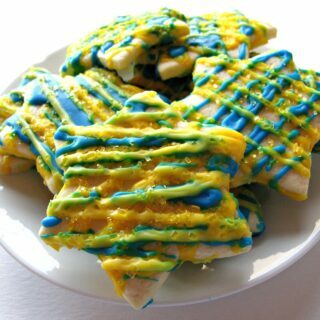 Wrap pairs of cookies, with bottoms together, in plastic wrap. Place in an airtight container or ziplock bag. 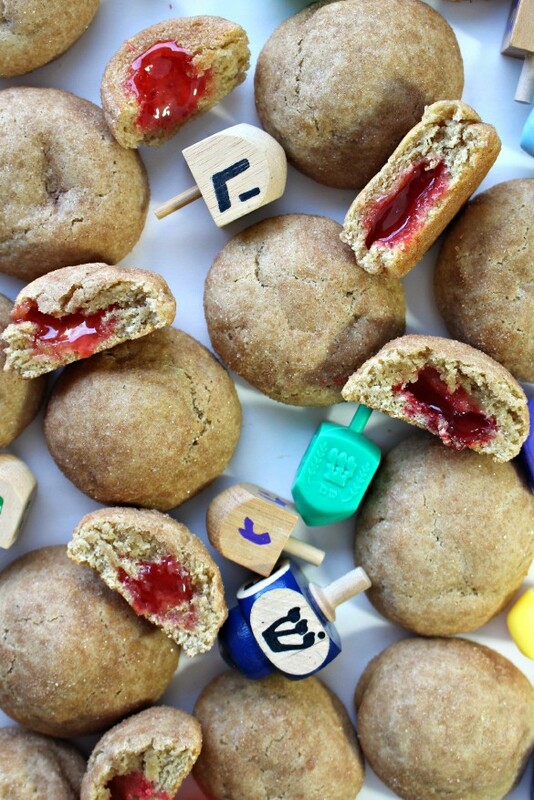 Here are more popular Chanukah treats! Wow Wendy – these are brilliant! A lifesaver gummy – who knew!!! 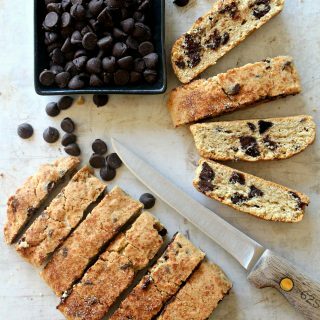 I love the way it melted and that these cookies are good for a week – thank you are right – this would be great for a gender reveal party! We had cupcakes with blue and pink filling and they were a big hit. I am sad to say that I made onsie cookies but messed up the icing and since it didn’t set up, I had to trash them all. I was in tears since they were going to the party. Anyway – a baker friend made the cupcakes at the last minute for me. I could never do catering! 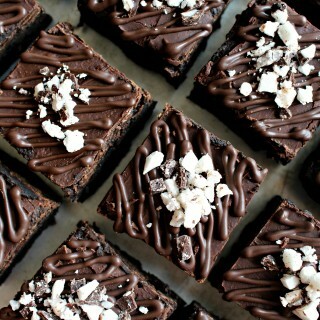 Thanks for the recipe – I love it! Oh, Tricia! I would be in tears too! Actually, I am often in tears even when the icing does work. Decorating cut-out cookies is SO time consuming! I can only imagine how devastating it was after all of the time and love you put into those onsie cookies! Luckily, the party was a SMASH anyway. 🙂 Friends to the rescue! This is such a smart creation! It’s so true that donuts are only good same-day and best super fresh and when I read these were cookies that would hold and stay moisture for a week, I was amazed! Love your experimentations that lead to results like this. The Lifesaver Gummies are working some magic here! Thanks, Monica! I was trying to come up with a Chanukah recipe that was mailable. This sounded like a fun experiment. Little did I know that my original idea (Jelly Belly jelly beans) wouldn’t melt! The hard outer coating keeps those little guys solid. Perhaps that knowledge will come in handy for some future Easter idea! These are so inventive Wendy! A really smart idea! They look delicious – I think I prefer them to a donut! I will happily eat these for a week but I doubt they’d last that long. 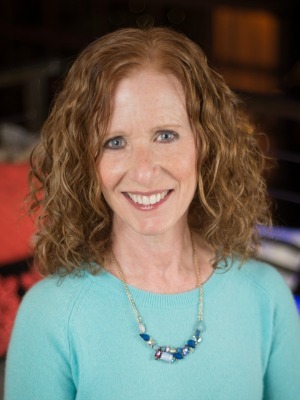 Happy Chanukah Wendy!! 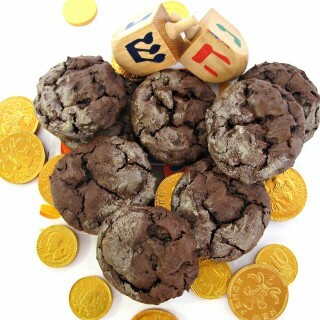 These cookies are just SUCH a fun idea! You are so right that the donuts are only really good super fresh – the cookies are so smart! And they of course sound delicious!